UPDATE: StokerCon tickets are now for sale and the official website is LIVE! Tickets are just $99 until June 5th. I predict StokerCon will sell out. Details at StokerCon2016.org! For those who missed the announcement, our Guest of Honor Authors so far for StokerCon2016 are: Jack Ketchum, Daniel Knauf, R.L. Stine, Leslie S Klinger, and our toastmaster is Stephen Jones-Editor. Expect Q&As with these guests, as well as readings, workshops, contests, critiques, pitch sessions, parties and the annual Bram Stoker Awards banquet! All of Vegas to entertain you and 500 of your closest friends in the horror business! Mark your calendars now: May 12th-15th, 2016 at The Flamingo! Watch the StokerCon page for details, save your money and pack your bags – we’re going to Vegas! 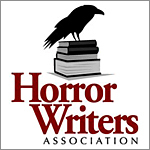 This entry was posted in Writing Life and tagged horror, Horror Writer's Conference, Horror Writers Association, HWA, StokerCon, writers conference. Bookmark the permalink. 2 Responses to StokerCon Registration Begins! I hope you get to go and that you have a wonderful time at StokerCon 2016! Thank you Lexa! Right now Mr. Smith is planning to go with me so it will be like the honeymoon we never had. I can’t wait!